BlackRock agreed to acquire French software provider eFront to expand private equity and real estate analytics for clients. The asset manager will acquire 100% of the equity interest in eFront for $1.3 billion in cash, the company said in a statement Friday. The purchase will add to one of BlackRock’s key businesses, a risk management technology platform called Aladdin. It can predict what a variety of worst-case scenarios would do to a portfolio, including how a 2008-style crash would affect a client’s holdings. Its users include pension funds, insurance companies and competing asset managers who pay to license Aladdin based on which of its capabilities they use. BlackRock had been competing with IHS Markit and private equity firms to buy eFront, people with knowledge of the matter said. Bridgepoint acquired eFront for $338.87 million in 2015, and the company has broadened its offering since then, according to its website. EFront’s software helps private equity firms, real estate investors and other financial customers analyze their performance and fundraising, monitor and collect data on their portfolios, meet accounting and regulatory obligations and communicate with investors. Founded in 1999, eFront has made several acquisitions to expands its technology platform, according to its website. It has 700 clients across 48 countries as of last year. BlackRock, which is based in New York, had been competing with IHS Markit and private equity firms to buy eFront, people with knowledge of the matter said earlier. BlackRock’s technology services revenue rose in 2018, driven by demand for the Aladdin platform. 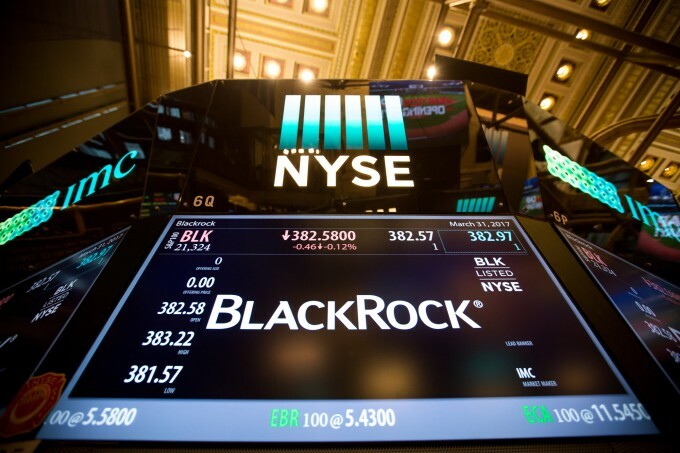 Shares of BlackRock fell about 1% to $426 at 9∶37 a.m. in New York. Through Thursday, they have gained about 10% this year. Bloomberg, the parent of Bloomberg News, competes with IHS and eFront in providing financial news, analytics and information.